® 2019 Mall St. Vincent. All Rights Reserved. 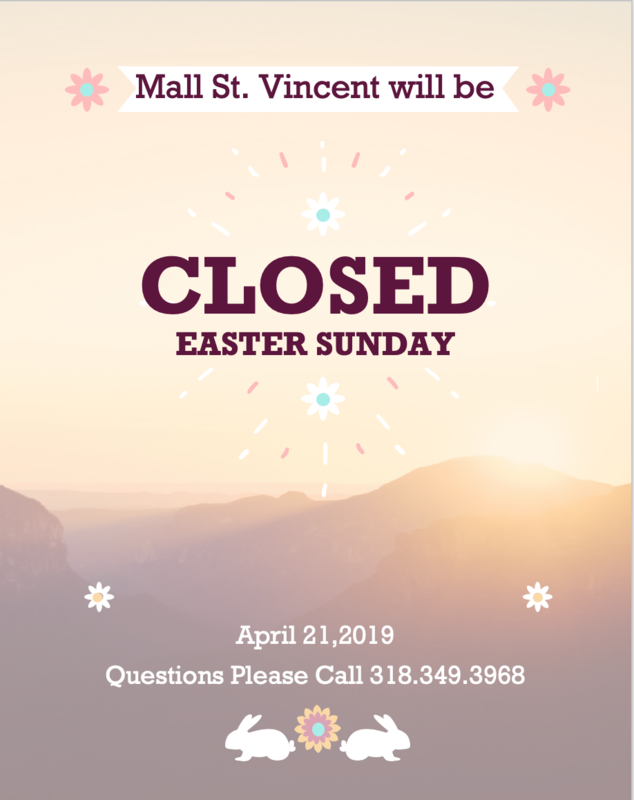 Mall St. Vincent will be closed Easter Sunday (April 21, 2019).